Learn or improve your soldering and keyboard building skills! 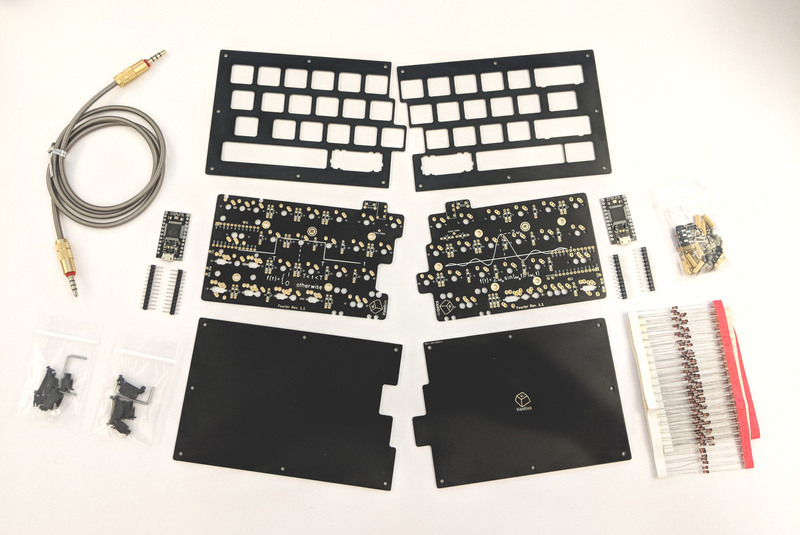 Join us for our first 40%, split, and staggered keyboard soldering workshop. You will leave with the 40% Fourier keyboard by Keeb.io. If this is your first time soldering; we welcome you. If this is your first keyboard build; this is the workshop for you. Just need a few tips on soldering and building? Join us! Or are you a seasoned keyboard builder that is looking for an excuse to build a Fourier? You're invited too! You will learn the basics of keyboard electronics, PCBs, and soldering. If you don't already know how to solder, you will learn. If you already know how to solder, we will help you improve your technique. There will be ample time to answer any questions that may arise throughout the workshop. You will leave with the confidence to build keyboards at home. You will also be introduced to our attendee chat where you can ask questions and learn from other attendees in the future. * Keycaps not included. With so many choices, and to keep workshop cost as low as possible, we opted not to include a default keyset for this build. † You must bring your own switches to the workshop. Only chose this option if you prefer non-Kailh switches. * Keycaps not included. Please bring your own. Custom keyboards supplies are expensive! If you are new to this hobby, you may experience sticker shock. Unlike other DIY projects, electronics supplies are far more expensive at a small scale compared to mass marketed products. If this full size keyboard workshop is too expensive, we do offer less expensive workshops throughout the year (frequently at the Living Computers Museum + Lab). We price our workshops at the retail price for supplies. All instructors are volunteers and we do not charge an instruction fee in order to keep the cost as low as possible. Most likely you would end up spending more on supplies and shipping if you were to source all of these parts yourself. Our long-term is to provide subsidized workshops to youth in after school programs and to underrepresented adults in, or entering, the tech industry. By enrolling in this workshop, you are helping us achieve our goal by way of helping us improve our teaching techniques and attract corporate sponsorship. Where are the keycaps at? We aren't providing keycaps with this build because we couldn't decide on the best default keyset to source. And depending on attendee preference, keycaps greatly increase the build cost. So we're leaving this customization up to you. You aren't required to bring your keycaps to the workshop; you can't put them on later if you prefer. We will provide recommended keycaps in different price points at the workshop. All of our winter meetup workshops sold out quickly so these might too. However, those workshops were less expensive. So these seats may sell out slower...or faster? This is a new test for us and we have no way to predict the outcome. It is worth noting that we can only have 9 attendees per workshop at this venue. So our guess is that we will sell out. Get your tickets now to ensure you can build. What is a 40% keyboard? If a full-size keyboard is roughly 100 keys, then a 40% keyboard has about 40 keys. Plenty of keys to get work done for school, work, or play. Any missing keys are accessible via programmable layers. Here is an example layout for the Fourier (the last 4 rows are alternative layouts for the bottom row).